Talking Clock with Arduino #ArduinoMonday « Adafruit Industries – Makers, hackers, artists, designers and engineers! 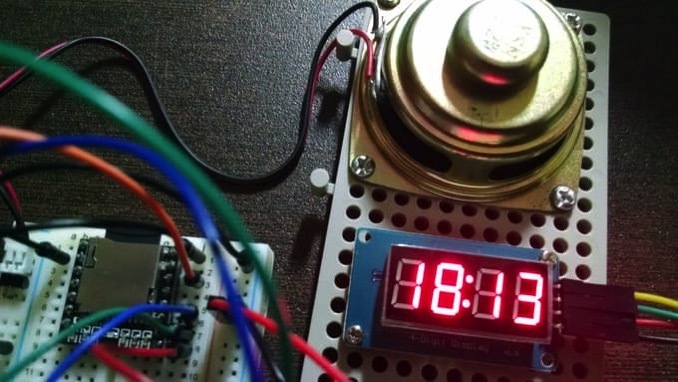 Fun project tutorial from Luis Antonio Silva up on Hackster.io. For a time I tried to build a Talking Clock (see the video), but with not good results due the voice module I was using before. After many searches related to appropriated hardware and also learn how to use the appropriated libraries, I achieved my goals. I will present you my version of Talking Clock using Arduino with the module DFPlayer_Mini to play MP3/WAV files.